Product prices and availability are accurate as of 2019-04-20 11:40:12 EDT and are subject to change. Any price and availability information displayed on http://www.amazon.com/ at the time of purchase will apply to the purchase of this product. ☀ No Dim Mode and PIR Motion Function: Designed with No dim mode to increase product life span. It will turn on automatically in darkness or at night when motion is detected within 3-5m, and provides your illumination for security and safty protection. 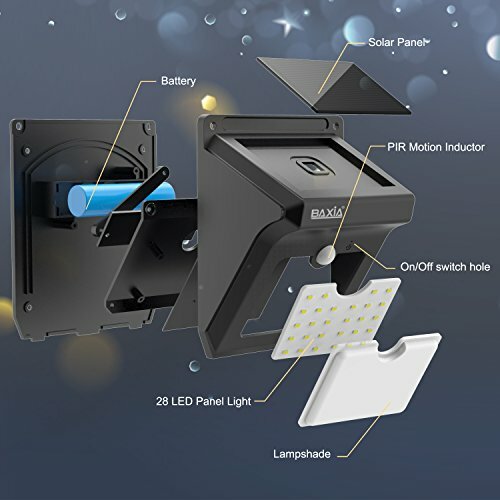 ☀ 28 LED Ultra-Bright: There are 28 powerful LEDs and the motion angle is 120º which can provide excellent illumination and turn the dark space into a bright lighted space. 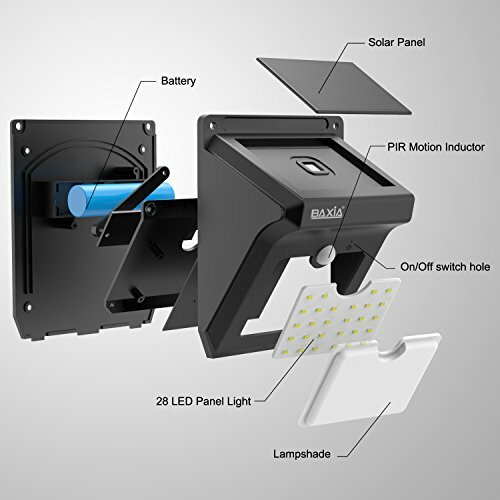 With a lampshade covering the led, well designed to longer its performance life. 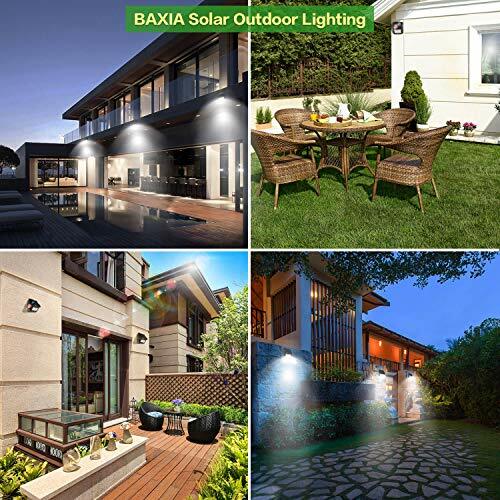 ☀ High Efficiency and Eco-Friendly: By expousring to sunlight for around 8 hours in daytime, the solar light is able to work for you by motion detecting at night. ☀ Easy&Quick Installation: No wiring needed. Simply screw it in the wall by the supplied two screws. Saving your time in installing those with wire. ☀ Waterproof and Durable: It is water resistant and heat-resistant. A great security light for outdoor patio, garden, deck, yard, drive, outside wall, fence etc.